What types of exchanges are there? It's easy and inexpensive to list your property. Begin sending and receiving exchange offers today. Guaranteed results! 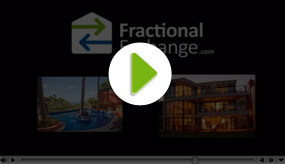 FractionalExchange.com is an online, owner-to-owner network of property owners, united for the purpose of exchanging use of vacation homes and fractional shares. Listings on FractionalExchange.com consist of vacation homes, condos and even yachts, wholly-owned or fractional-owned. Beach, ski, metropolitan, mountains, adventure -- your choices are endless. Exchanging has broadened my horizons and allowed me to experience new destinations in luxury. What a great experience! Our goal at The Hemingways is to exceed our owner's expectation, provide relaxing and comfortable vacations. FrationalExchange.com presents additional travel and vacation opportunities, adding value to ownership at The Hemingways. We've looked for five years or more for a way for our owners to interact with other owners and trade vacation time. This is really the first opportunity we have found to work with a first-class organization in a very user friendly manner.